For industrial tasks that require protection against hand lacerations, use the Jackson Safety G60 EN Level 5 Polyurethane Coated Cut Resistant Gloves. These top-selling protective gloves offer ANSI Level 4 / EN388 Level 5 Cut Resistance and CPPT = 2,085 grams, so you and your employees can use them with confidence. These coated safety gloves are made of ultra-high molecular weight polyethylene (UHMWPE) fiber, spun with glass, stainless steel and spandex. 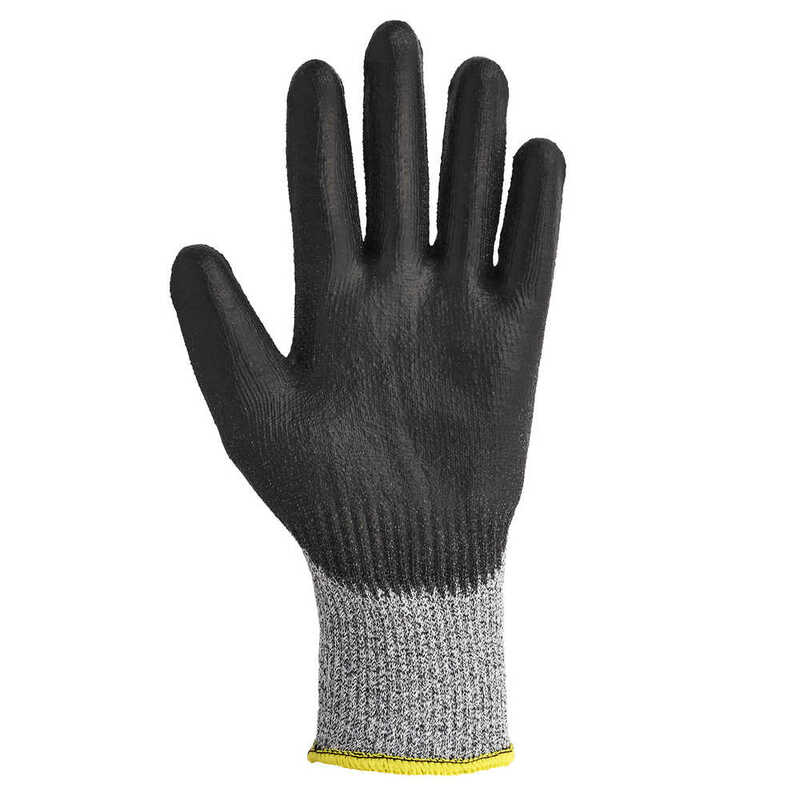 The polyurethane coating provides excellent grip and the gloves are compatible for use with touch screen equipment for uninterrupted work flow. Each pair has a dedicated right and left glove, for a snug fit, and the polyurethane coating enhances grip for dexterity. 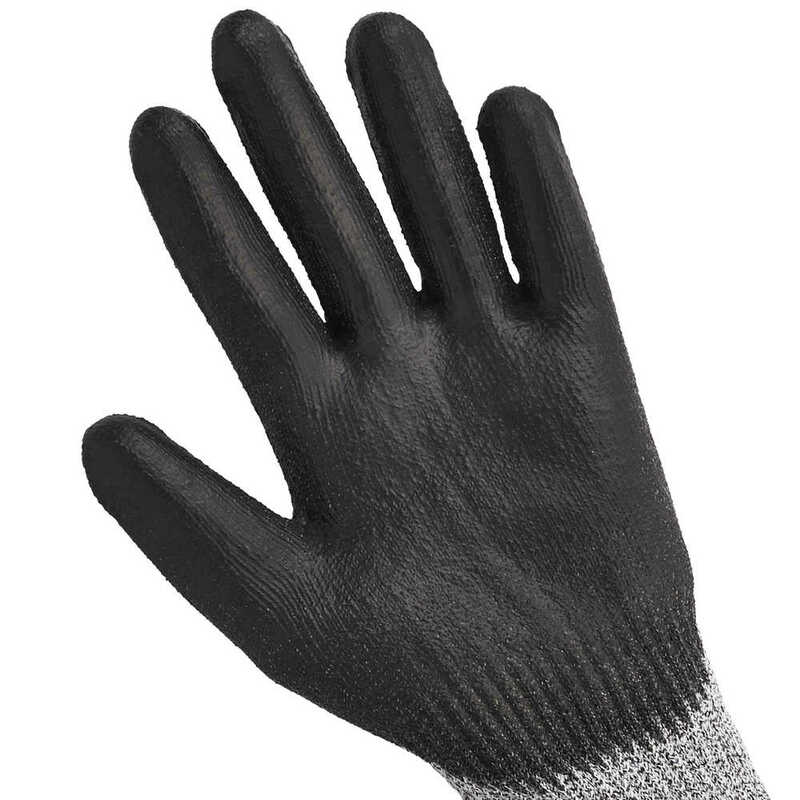 These protective gloves are black on a salt and pepper stretch knit shell, and feature a colored hem for easy sizing identification. They deliver reliable protection for the task at hand, such as in vinyl siding installation, metal assembly, glass handling, small parts assembly, HVAC equipment handling, and work involving sheet metal. 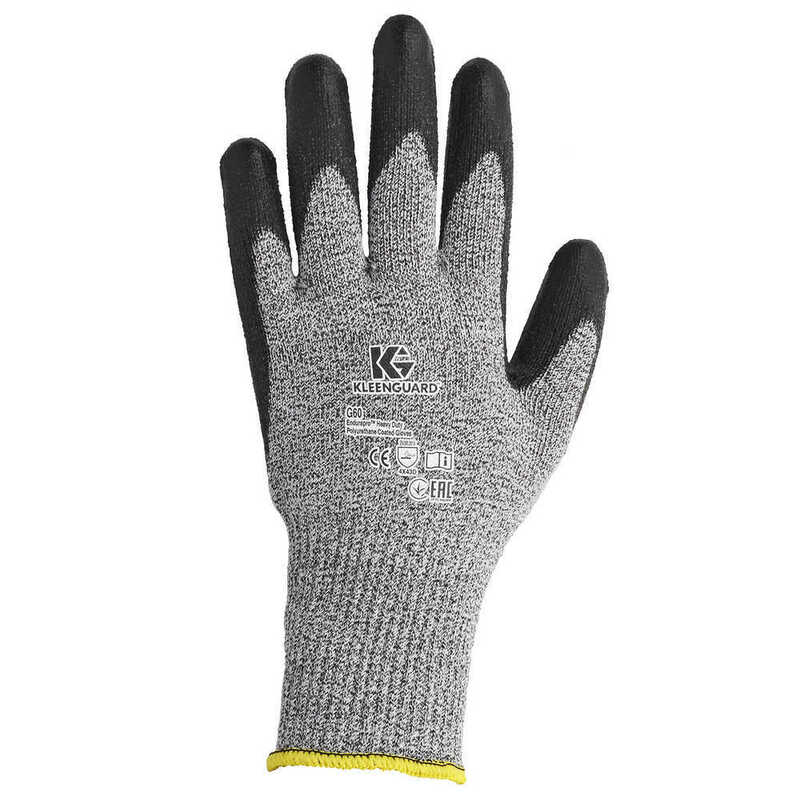 These cut resistant gloves are smartly designed, so you know you’re giving your employees the best tools with which to do their jobs.